Does Your Messenger Bag Ever get the “Not so Fresh” feeling? 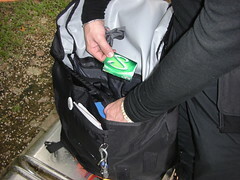 A package of Stride will freshen your bag for an entire trip overseas. Not only is the flavor long lasting, but so is the wintergreen scent.